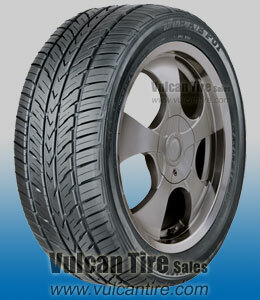 Vulcan is the only place I buy tires. OUTSTANDING TIRE FOR THE MONEY! VERY PLEASED! I'm really happy with the tires, not my first using sumitomo tires, this is my third or fourth using sumitomo tires. Much quieter than the Fuzion tires I bought for my wife's car a few years earlier. The tires are so amazing. But the fuel economy of my car has dropped, maybe the tires, maybe not. Delivery was quick and timely. The tires were easily balanced, and perform as expected. The hydroplane resistance exceeded expectations. I was looking for a set of tires that has good traction and quietness, this is the one. Since I was very please with how quiet the tires was, I bought another set for my other car. Now I can talk and hear on my bluetooth earpiece and not worry about road noise. Very good tires for the price. Much better than the ones they replaced (I can't recall that brand right now). Comfort was improved and there was noticeably less noise. Frankly, they do their job so well I don't think much about them. Here in the midwest, we have been getting rain for the past couple of months and these tires have excellent traction. I have not encountered any hydroplaning issues when its pouring during high speeds. The tires I bought have performed very well. The handling of my car with the tires on was good. The tires look good on my car. I would absolutely buy these brand of tires again from tire rack. Great tires for commuting. My main concern was tire noise and traction. This tire is excellent and excelled on both concerns. I would recommend this for anyone to use it as a commuter tire.